Review: This is a harrowing tale of survival during the second world war, not from battles or being on the front line, but from that of a victim of the unequivocal circumstances of a conquered land brought about by the Nazi regime. It is based upon the true story of a real woman’s (Ludwika’s) experiences as a Polish woman in Nazi Germany through a combination of shared recollections, and intense research. Some fictional characters have been added along with a couple of scenes, but none of these take away from the truth of what went on behind the scenes. This is the first time I have read about what life was like during the second world war for someone who wasn’t English, or American. And the first time for seeing things from the perspective of a foreigner living in Nazi Germany. It was an eye opener to say the least. I was thoroughly engrossed. What really kept me on the edge of my seat was the constant worrying that, Ludwika be mistaken for a Jew or, through malice be openly accused of sympathizing, or having relations with a German. Just about anything could get you killed! It’s World War II and Ludwika Gierz, a young Polish woman, is forced to leave her family and go to Nazi Germany to work for an SS officer. There, she must walk a tightrope, learning to live as a second-class citizen in a world where one wrong word could spell disaster and every day could be her last. Based on real events, this is a story of hope amid despair, of love amid loss . . . ultimately, it’s one woman’s story of survival. Ever since I saw Plaid Cymru politician / leader Adam Price in a discussion at the Llandeilo LitFest last year I have come to know him as an sharp and fast thinker. And while he’s not part of the festival this year, we have a session about Wales as a colony with a different writer. 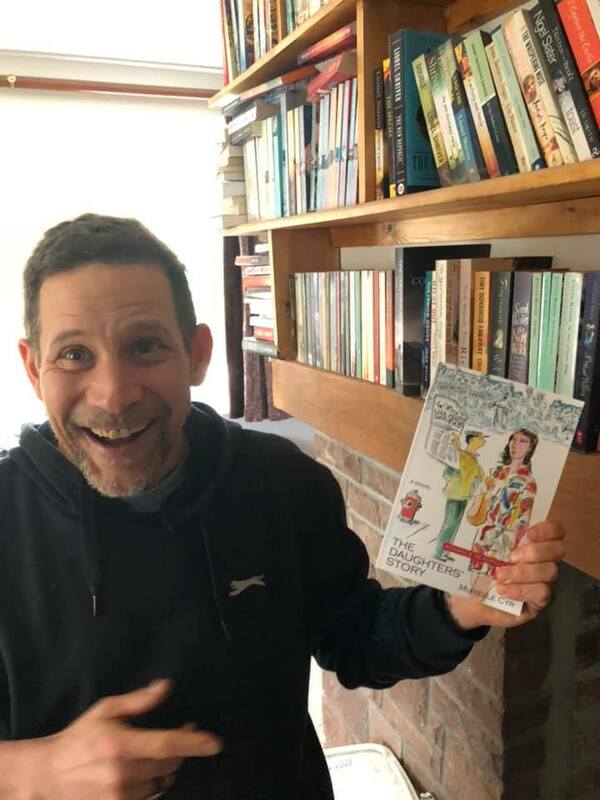 When I saw that Adam had this book out, provocatively titled and much echoed in sentiment this side of the Severn Bridge, I had to get a signed copy and read it. First of all I must clarify that the book is not a signle essay on the topic but it is a selection of political speeches and essays, one of which bears the title name. The topics range far wider and are not limited to Wales as a colony. It is thanks to the first part that makes the book such a surprisingly compelling read. Whenever I want to dismiss the agenda driven parts and statements, they were backed up with solid argumentation and reasoon. There are ‘best speeches’ , like one seeking to prosecute former Labour prime Minister Tony Blair as war criminal, which demonstrate that Price is a politician who said what many only thought, but those do not fit into the expectation of reading about the way forward out of the state of colonisation. 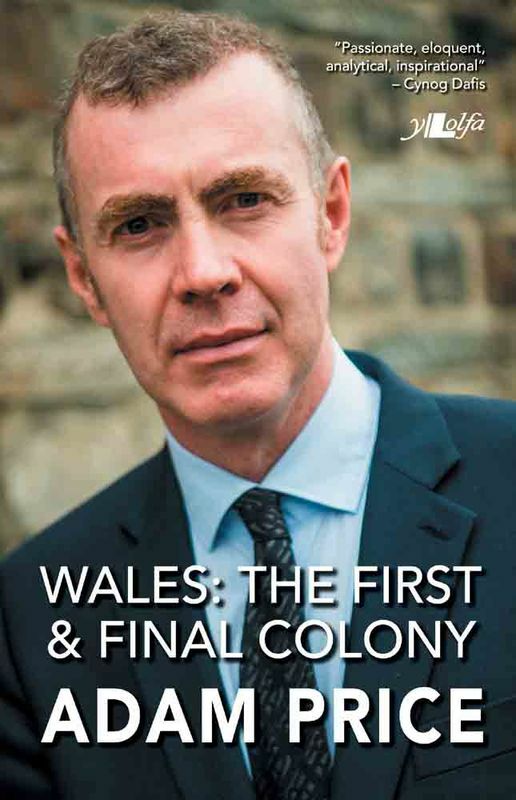 Luckily, quite a lot of the book then does outline his ideas for a way out, and for policies to bring Wales forward; from a cyber currency, railway lines connecting South and North, and another referendum, the book does not lack in policies and thoughts. 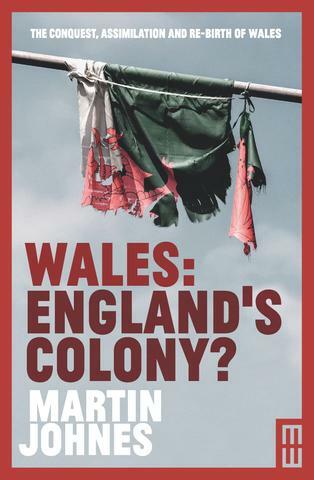 This is certainly an interesting read with plenty of food for thought seeking controversy, and one that I would recommend for those interest in the future of Wales, albeit with said caveats. tells of the political and economical tribulations in Peru during the early 1930s. 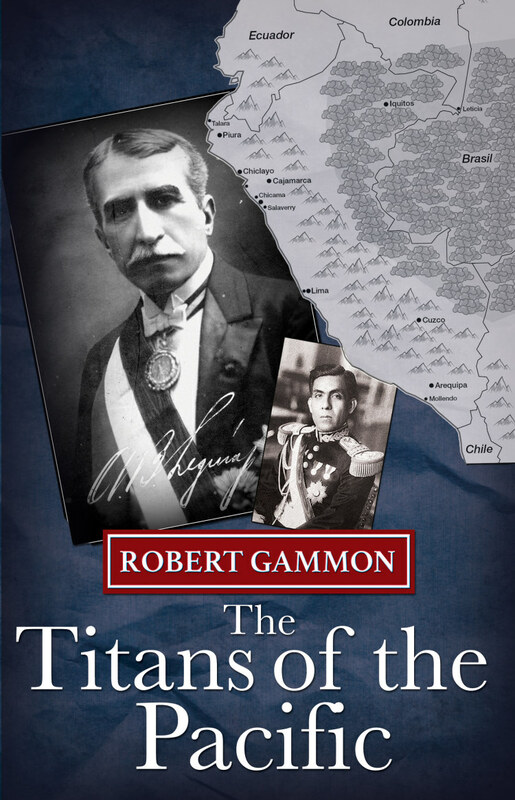 Historians will love this feast of details and the well researched account of Peruvian power struggles, while fiction fans get their fill via two love affairs caught in the middle of the wider political events. I personally struggled in the beginning with the level of details and the set up of the rather complex political and personal backgrounds but then vastly enjoyed the book as all comes perfectly together. great effort that should appeal to readers who look to learn more about less watched countries. In 1930, the world was hurtling towards one of the most terrifying periods in human history. The Titans of the Pacific tells incredible, but real, historical events. John travels to South America as a member of an American economic mission advising the Peruvian government. He finds Peru in chaos, with an authoritarian regime supported by the country’s elite and foreign big business. He is drawn to the mysterious Yolanda and witnesses the start of a civil war and the local impact of the extreme political movements that tore the world apart leading up to World War II. When The Washington Post co-opts John as an investigative journalist, he uncovers a sinister plot with worldwide ramifications. He must decide whether to risk his life in Peru struggling to foil the plot, and challenge The Titans of the Pacific – who will do anything to hold on to power – or return to a safer life in the USA. Containing 32 short stories and pieces of flash fiction, many of which have never been published before, More Glimpses takes the reader on a ride full of twists, turns and unexpected endings. Sally Spedding is an old favourite of this block, a dear friend of mine and an incredibly talented author. She recently landed a seven book deal and the Lit Fest is privileged to feature her in conversation with Allan Martin when both will talk about historical fiction. I picked Sally’s latest book, “Death Knell” and I agree with the critics, it’s a brilliant book. After two life-changing investigations in France, former Detective Inspector John Lyon has moved south from Nottingham to Colchester with plans to enjoy his retirement. But a phone call from Professor Stephen Vickers, a former student friend, now Dean of History at a university near Diss, disturbs his rest. Vickers senses he is in danger, having unearthed evidence of a gruesome tragedy in 1920. The murder of an innocent family is a secret someone still wants keep buried, yet the professor is determined to uncover the truth. This really is quite an accomplished novel that tells the story of a gruesome crime in 1920, the nature and motive for which aren’t as clear cut as one might come to expect. Chapters alternate between characters in the distant past of 1920 and the less distant past of 1988. While the 1920 chapters keep us on the toes with spellbinding descriptions and gripping suspense, two old friends reunite in 1988 as one of them thinks he’s not only on the trail of a big story via two discovery of two letters but he also senses the very investigation of the past murder is bringing him and his loved ones into harm’s way. Spedding makes you always feel close to the events, dragging you into the plot as if it were happening to you. All starts with the sale of a wild horse in 1920 which for some obscure reason brings an entire family into danger. As the family try to figure out the whole story and save themselves the reader can sense the ineitability of looming disaster. Language and dialect are autenthic, well researched and add a great deal to the realism. The plot is twisted and never straight forward, the characters are so well drawn with distinctive narrative voices that you can always recognise who’s telling the story. Chilling, spell binding and excellently written this is superb, both as crime fiction and as historical fiction. Reading it out of the series sequence, as I did, made no difference to my enjoyment. I’ve downloaded the rest of the series now and can’t wait to see Sally talk about her book at the Lit Fest. Very excited to share my review of Murielle Cyr’s latest book. Murielle has been a friend and an author I admire for many years now but she really surprised me with her latest novel, a move into my favourite genre: Historical fiction. “The Daughter’s Story” is a powerful story of female oppression in the 20th century. In French speaking Canada of 1970 a young woman called Lisette is trying to find her biological mother. She’s pregnant by a terrorist and only seeks her mother to take advantage of her, not to find a happily ever after she doesn’t believe in. Lisette is damaged, but as we get to know her mother’s story and family background – why had she given up the daughter for adoption in the first place – we peel an onion of family secrets and lies, spiced with (to this reader) a much lesser known historical background about the conflicts in Canada at that particular time. As some of the family background goes way back to 1918 we get glimpses of other parts of Canadian history and how it affected said family. This is a gripping and deep story about the far-reaching and life-altering consequences of selfish or even seemingly selfless decisions, brought dominantly on women by men. Cyr shows a multitude of female perspectives and engaging characters which culminates in an unexpected coming of age. Those characters dug their way into my heart fast, I was moved and heartbroken, felt for the damage done and the opportunities lost, but also rejoiced at some of the strength and power the characters showed. Knowing Cyr as writer in other genres I was amazed at her versatility (shocked to see her use some authentic foul language) and ability to address such harsh issues as if she had done so all of her life. I must say she did the topic great justice. It should be released May 1st, but it’s available for pre-orders which will arrive at the end of March. Author of CULLOO, a YA novel. Short stories and poetry published in several literary magazines. Hannah has come to town and wants to open a bookshop though no one believes it will succeed. She hires Tom Hope to help her build some shelves. Tom recognizes a heart-broken person in Hannah as Tom is one himself. His wife Trudy left him and took her son, Peter, with her. Tom loved Peter like a son and he misses him dreadfully. Hannah, well, Hannah has met with more grief than most when she was taken to Auschwitz. Both of these broken-hearted souls will learn whether they can be healed or be haunted by their losses forever. Today I’m reviewing another book featured in the forthcoming Llandeilo Lit Fest. Five corpses are dug up by a peat-cutter in Islay. All of them have been shot in the back of the head, execution style. Inspector Angus Blue and his team slowly piece together the little evidence they have, and discover the men were killed on a wartime base, over 70 years ago. But there is a secret to be protected, even if it means killing again. Allan Martin will be talking about his book in the Lit Fest session with Sally Spedding. The novel unfolds slowly as we follow what appears to be a harmless historic find of dead bodies. Characters in the investigative team become familiar to us readers while we are in an early and almost unsuspicious stage of the investigation. The interplay of the present day detectives and their chemistry with each other were my favourite part and I hope this may turn into a series. When the find of the dead bodies arouses unexpected interest and some suspicious events hint at something bigger being hidden the tension heats up dramatically and this turns into a gripping thriller. Interspersed with the present day investigation is a separate narrative strand from the perspective of what we assume is one of the five victims. I found this very intriguing. Well written and with a great dramatic curve this novel flows nicely and never drops your attention. In my copy of the book were no historical notes to explain how much of the plot were fiction or fact, so I assume this is more of a crime fiction with a historical twist rather than serious WWII theory. This will please crime fiction readers more than historians but there is something winning in the formula of solving crimes from the past. Very enjoyable. 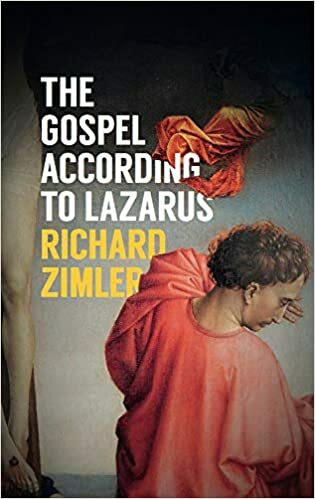 I’m delighted to present my review of Richard Zimler’s latest book today and share a little insight from a conversation with him about the book. The book is already on pre-order on Amazon and a great accomplishment. “The Gospel According to Lazarus” is an accomplished and ambitious novel. In this re-telling of Jesus’s last week from the perspective of a child hood friend whom Jesus resurrected from the dead, we’re looking at Jesus, faith, religion and history with new and challenging eyes. Whatever religion – if any – you follow there will be something in the teachings of Jesus that can touch your heart. While I personally would not describe him as the son of god, a lot of what he said was an important message and I’m glad it found itself into humanity. It’s a credit to Zimler’s writing that I devoured a book about a biblical theme (as I feel that I have been exposed to too much of it in my youth). 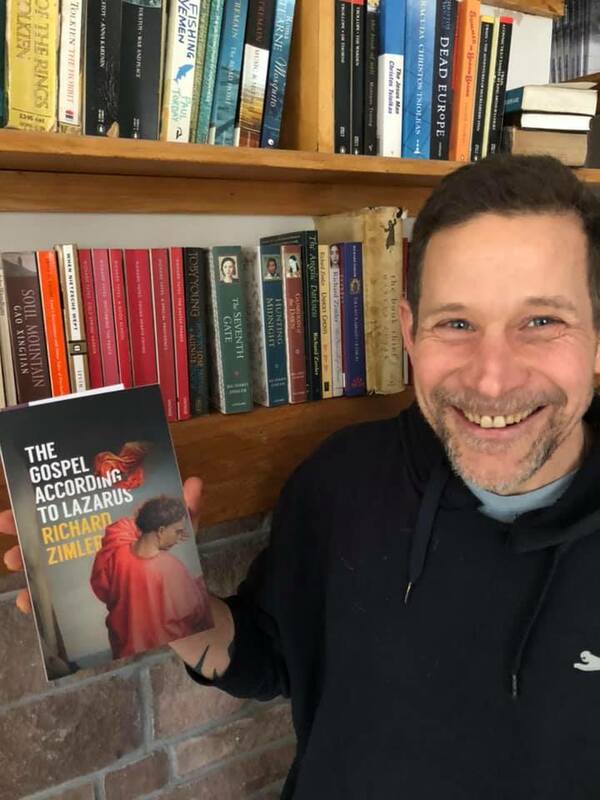 Historically and biblically well researched this novel is based on the traditional gospel while braving to deal with some missing gaps, logical questions arising from the story and the much appreciated human factor that religion all too easy denies those idols it intends to praise. Why was Lazarus resurrected – how did people respond to him and Jesus because of it and what is the point of this in the context of the bible? While we all believe different things about the afterlife, why was Lazarus not given a chance to tell us about that? Seeing what has become a Christian story from a more contemporary Jewish angle helps us understand events in a way that cannot be achieved when reading scriptures exposed to millennia of intended and unintended bias. To me, what Zimler has written makes the people and miracles far more believable than the way they have found themselves into the Bible. I remember a hugely inspiring and thought-provoking conversation I once had about Jesus as a Jewish rebel rather than a virgin-born King and this book makes many similar cases, without being as controversial or provocative as my review may make it sound. To me, the point being made here is not to discredit religion but to see the actual story and person of Jesus with some of the gold and glitter removed; and to see the beautiful message from Jesus, untarnished from the dos and don’ts of the preachers. 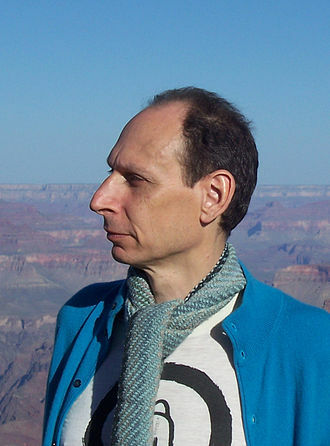 “The idea for the novel came Richard after a repetitive dream in which his brother – who died of Aids in 1989 – came back to life but was greatly diminished and profoundly mournful. This dream reminded him of the story of Lazarus from the Gospel of John. 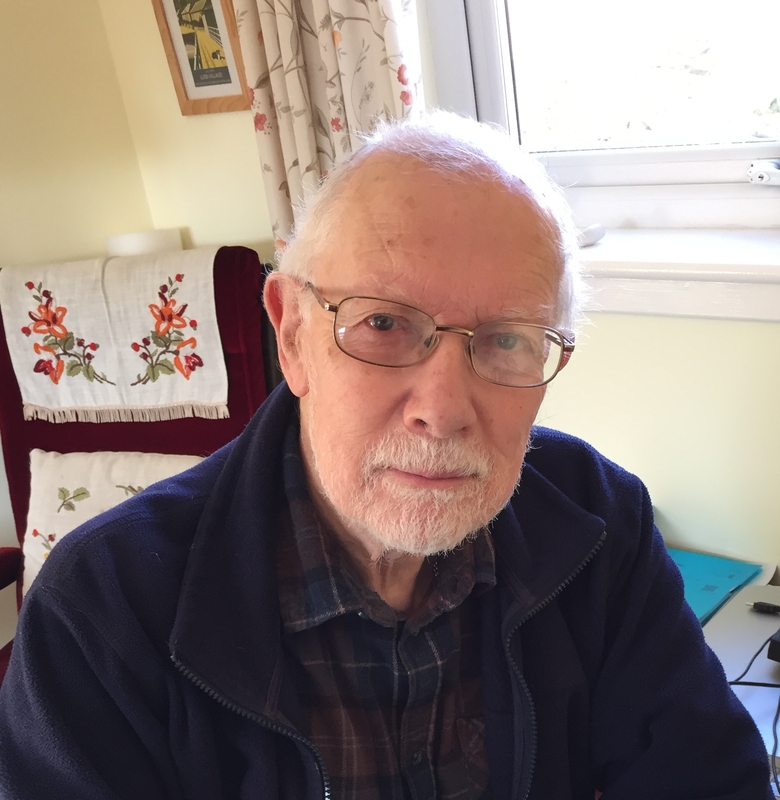 After he re-read the Gospels, he started researching daily life in the Holy Land at the time of the New Testament and paid special attention to the tradition of Jewish mysticism that Jesus would have likely followed. He became fascinated with the idea of writing the book from the point of view of Lazarus himself and of characterizing Jesus as a Jewish mystic (of giving him back his Judaism, so to speak). To try to free readers from their previous assumptions about these two important men – and to free them from Christian iconography – he uses their Hebrew names in the novel: Eliezer ben Natan and Yeshua ben Yosef”. 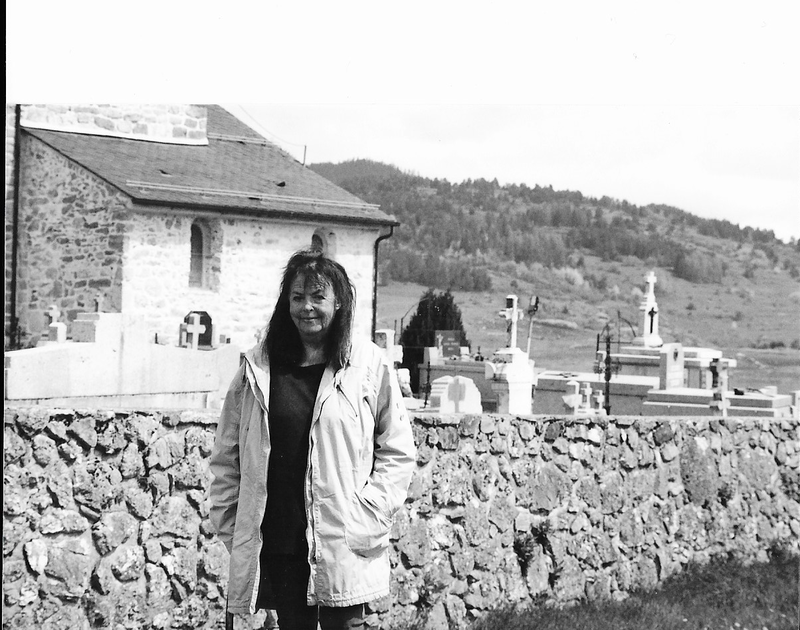 Cath Barton approached us with a pitch for the Llandeilo LitFest and her collection of accolades speaks for itself. 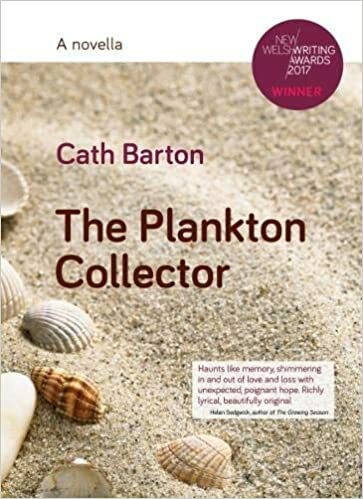 Her novella “the Plankton Collector” won the New Welsh Writing Award. It is a cleverly plotted and well written novella, a short read that is compelling as it is intelligent, using exquisite prose and imagery. Jumping somewhat between her characters, all of which at some stage meet the ominous Plankton Collector and benefit from their encounters with him, this somehow never gets confusing or feels hard work. The flow is natural and smooth, the writing style engaging and I am excited to see Cath at the lineup of our festival. Take a seashore, let us say one on the leeward coast of an island, where the twice-daily coming in and going out of the sea is, in the main, a calming. There are cliffs of old rock, gneisses and schists, born of a time of greater drama. On the tops is a green sward, pockmarked by holes where rabbits burrow. They emerge at dawn and dusk and nibble the grass back into tidiness. On the cliffs is a congregation of gannets, kittiwakes and puffins. They sing songs from the hymnal of the birds. They are raucous and out of time with one another. On the shoreline a few of them land and strut about, self-important but awkward because they are out of their element. Here the morning light is pearlescent. There is a shimmer to it. Water laps gently around rocks tumbled long ago on the shore, making the little curtains of green algae move back and forth as if they were opening and closing on the scenes of a play. Which indeed they are. It is the daily play of the creatures of the rocky shore, the sand bubbler crabs which emerge from their sandy nests and scuttle in sideways motion, the cushion stars which scavenge on them after death, and the pink polyps of hydroids which feed on plankton. Much of this, and especially the plankton, is invisible to the man we see who passes by and remarks on his disappointment that the rocky pools are not as they were in his childhood. He is thinking about those long-ago summers of (we remember erroneously) unremitting sunshine when boys wearing long shorts or short longs lifted strands of jellified seaweeds aloft triumphantly, for Mother to take a picture with the Box Brownie. That picture which will be amongst the snaps which she keeps all her life in the old chocolate box, the captured iconic moments of seaside holidays, made happy by a trick of memory. Cathryn Summerhayes, literary agent at Curtis Brown.